After about eight months of abusing my friend Shee-shee’s goodness by seeking shelter in her apartment on work days, I’ve finally moved to a new place! I didn’t want to make a lot of adjustments in my daily route to the office, so I ended up in a unit just two buildings away from her. Random slumber parties aren’t something I’m gonna miss after all. So, getting a new set of keys gave me the best excuse to finally execute what I have been planning to do for a long time: decorating that useful metal! I used to have those colored keys you can purchase at the mall as an option when you duplicate. 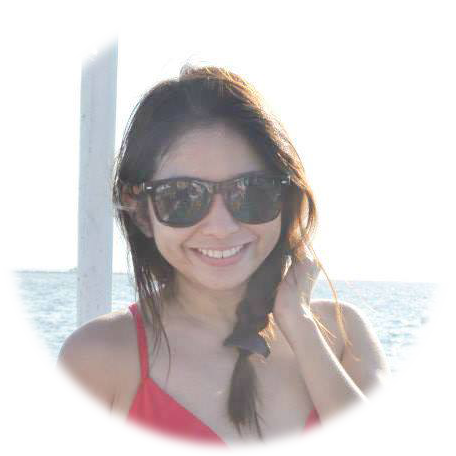 But I realized how costly they are that it’s just impractical when you can simply DIY. Customizing your keys not only adds an artistic touch to an everyday tool, it also works as a label to identify which key is for which lock. Three different sets of identical looking keys I use almost daily… And yes, that’s a whistle and a mini flash light. I live in an earthquake-prone area, so yeah. 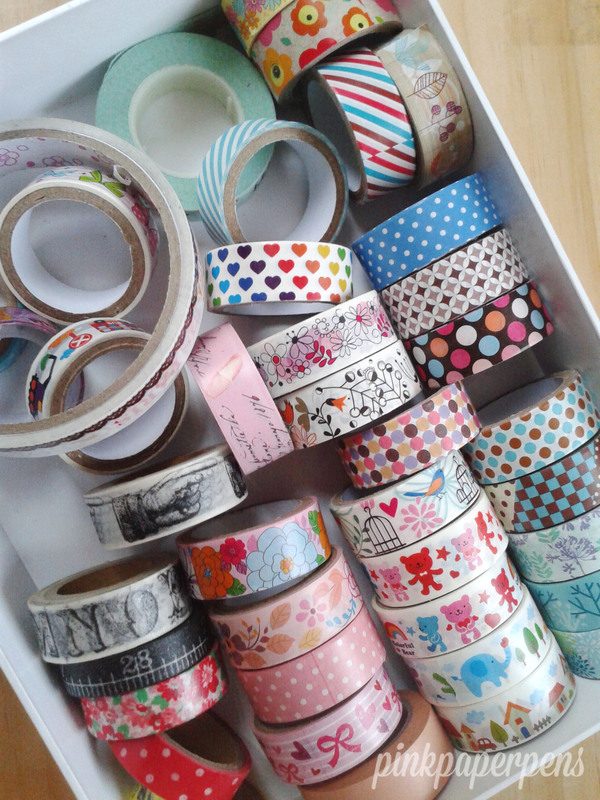 Another way to make use of your washi tapes! 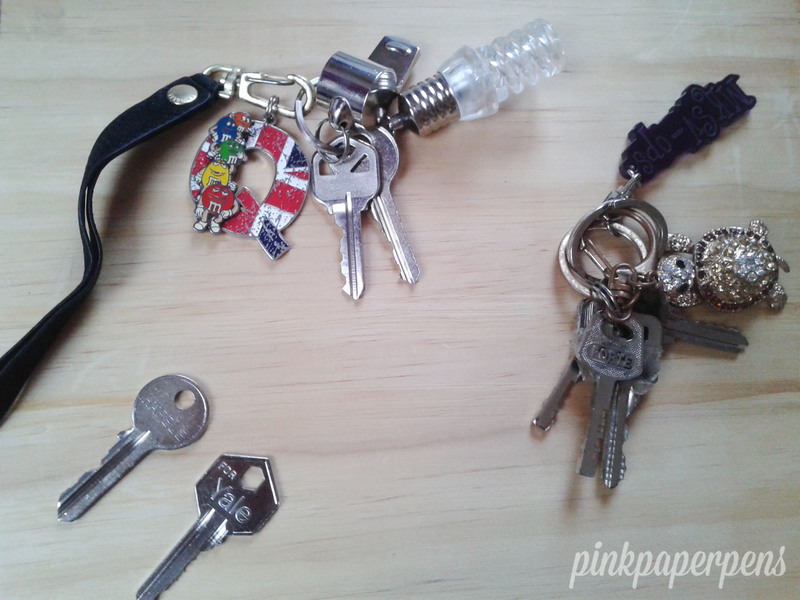 These ones are great in decorating your keys as it can manage to stick by itself. The challenge comes however when the key head is intricately shaped. Bring out the trusty rolls! Nothing less than my newly acquired prints for my new apartment keys! The Cath Kidston tapes worked really well because of its strong adhesive. 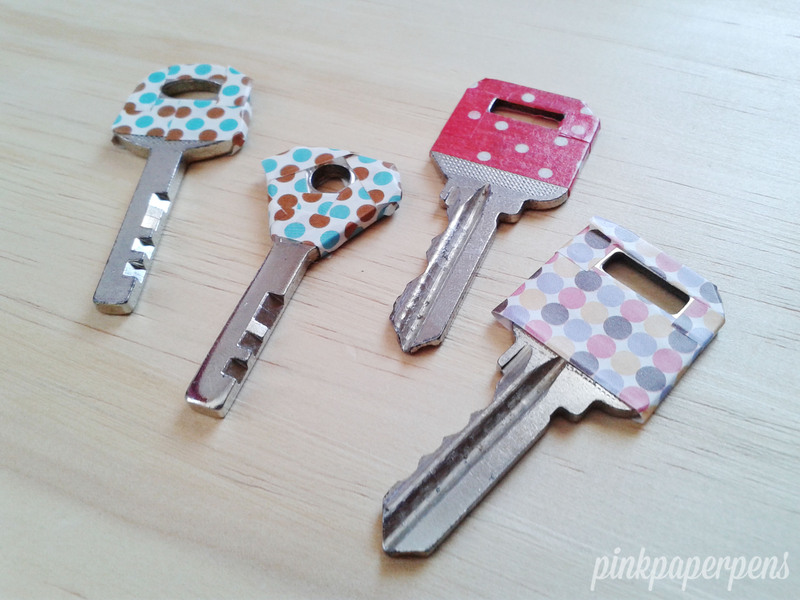 Chose similar themed (polka dots) for my home keys. The identically designed ones are two different keys for one gate. 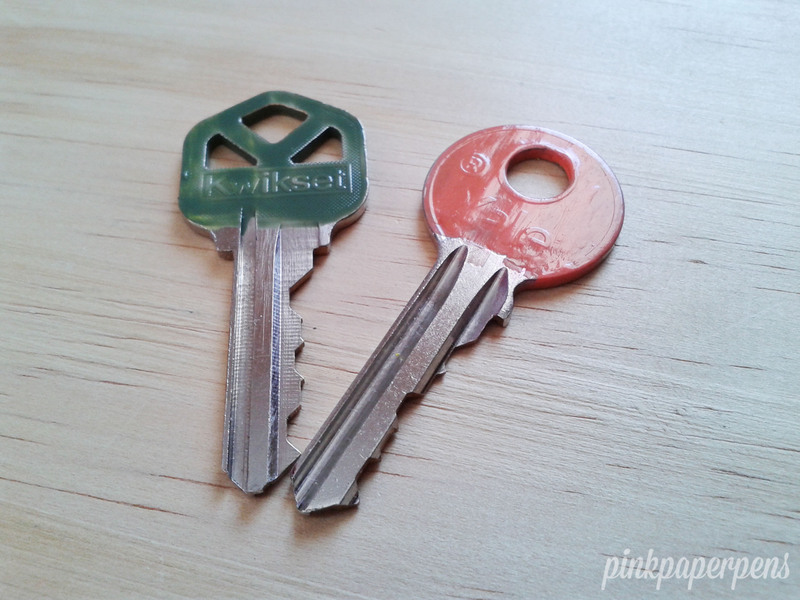 I chose red for the kitchen key because the color reminds me of the fire stove (LOL) and the one with pinks dots is for my room, because my room = pink. 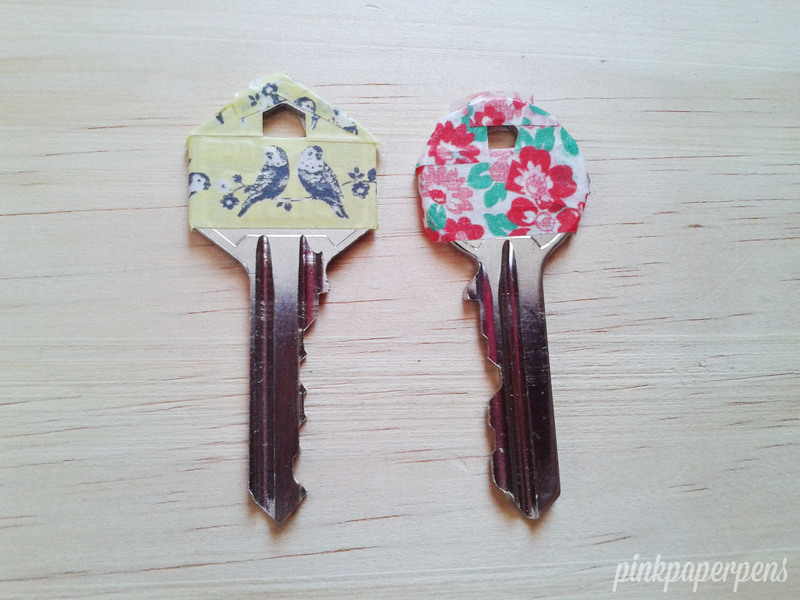 A common practice of customizing keys is painting them with nail polish. While you can actually paint the entire thing, I opted to just cover the head since I didn’t want to risk compromising the vital edges. One thing I noticed though was that no matter how many coatings I apply, I could never entirely cover the area. It must be the metal or the solution of the nail paint and the mixture of both. 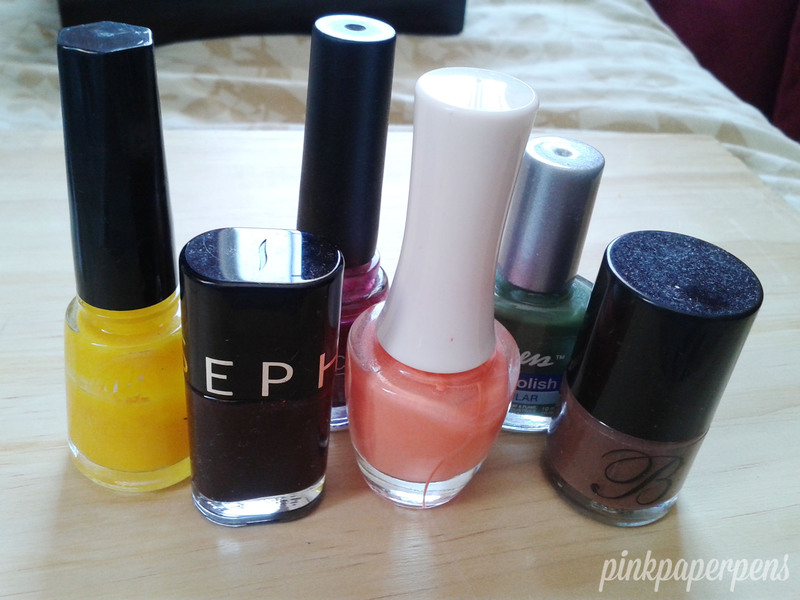 I finished them off with a colorless nail polish to lock in the color. Now bring out the liquid! To avoid mess, use a tissue or scratch paper when you start painting. The green paint was already slightly diluted for some reason so it’s rather uneven. For the orange paint, I regretted not doing horizontal strokes to create a border at the bottom where the paint ends. More Washi Tape project ideas! Nice idea and DIY. You are so artistic and creative Quinn.